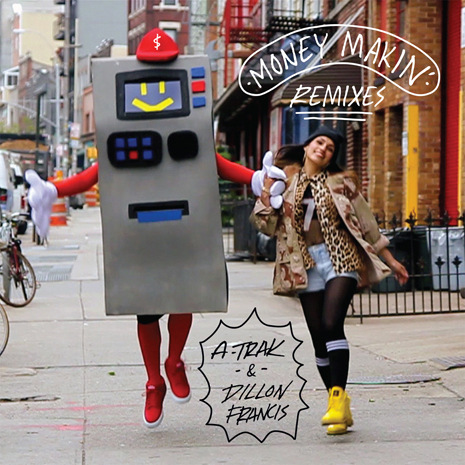 Club heroes A-Trak and Dillon Francis are back with a crazy remix package for “Money Makin’,” their dancing cash machine anthem. There’s a lil something for everybody: Oliver Twizt’s “trap mix,” Barjo & Alban Lipp’s big room stomp, and a breakbeat collage from hip hop legend (and hip house pioneer!) Mark The 45. 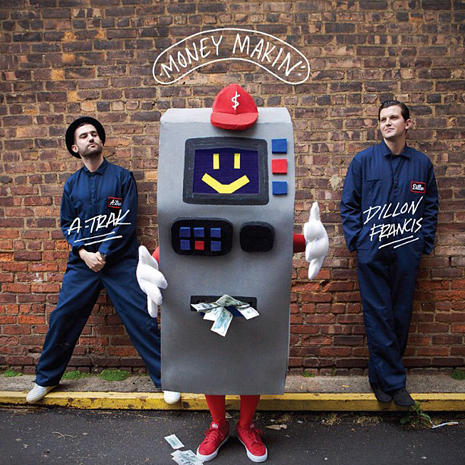 From the festival rave to the park jam, get that money. Sleeve by Dust La Rock.